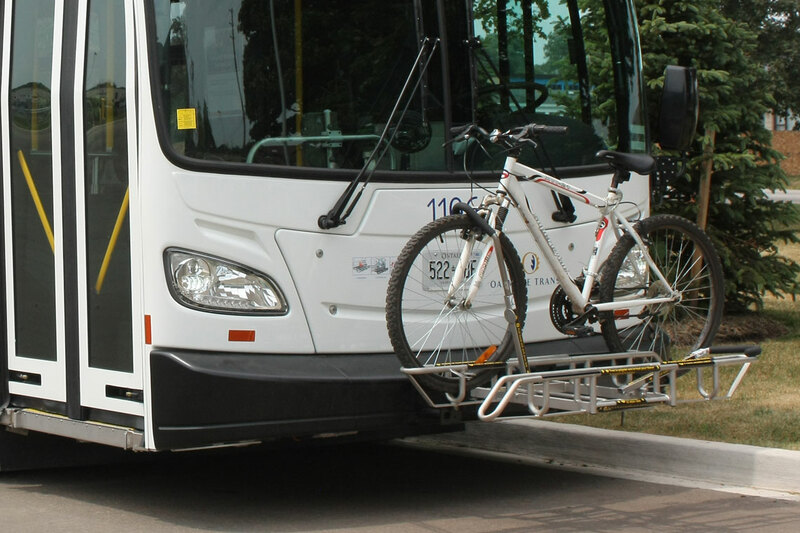 The four-digit bus stop numbers can be found when looking up arrival times or by hovering over your stop on the online map. 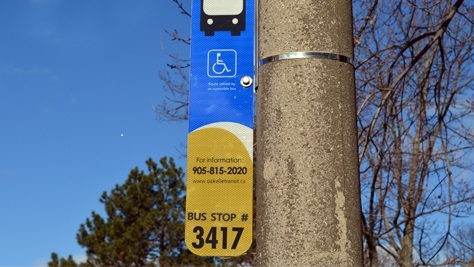 You can also get the bus stop number from the bus stop sign at your stop. 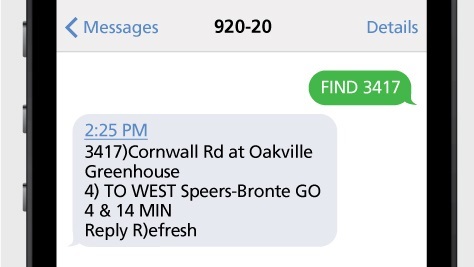 Here is how your text message might look if you were going to catch a Route 4 bus going west at Oakville Greenhouse (which has the stop number 3417). In this example you will get a message back telling you the next Route 4 bus will arrive in four minutes followed by the next one in 14 minutes. “R" for refresh will give you the latest, most updated result for the same stop. 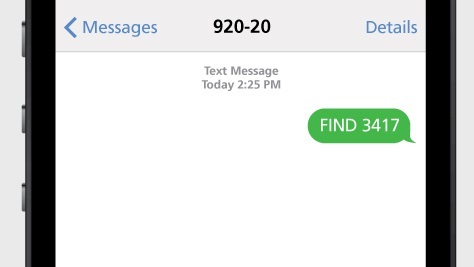 "N" to see the next result for your stop if there are multiple routes that don’t all fit in one text message. "STOP" or "ARRET" to unsubscribe to any service alerts or text updates you previously signed up to receive. 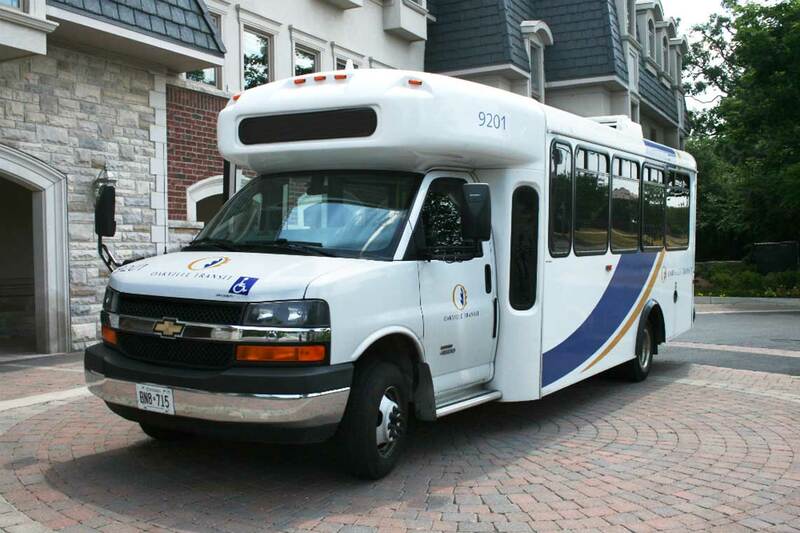 "HELP" or “AIDE” to find out how to reach Oakville Transit. Remember: Standard carrier charges for text messaging may apply. 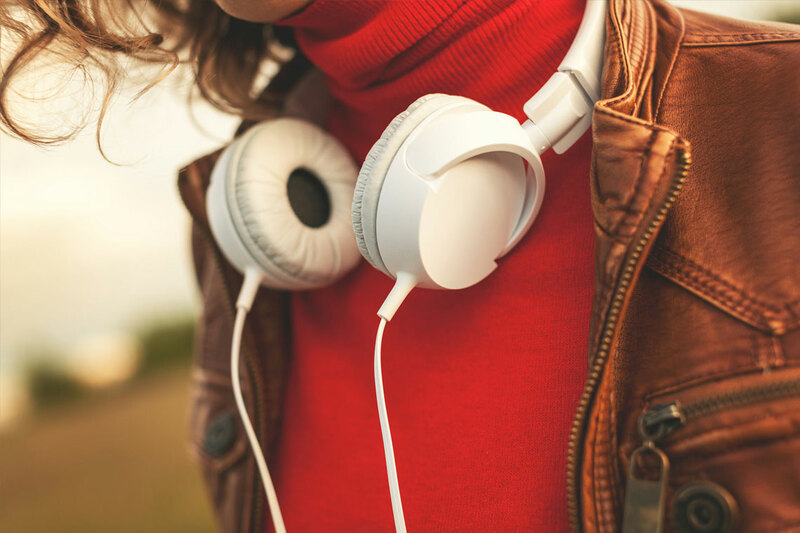 Check with your mobile carrier first. 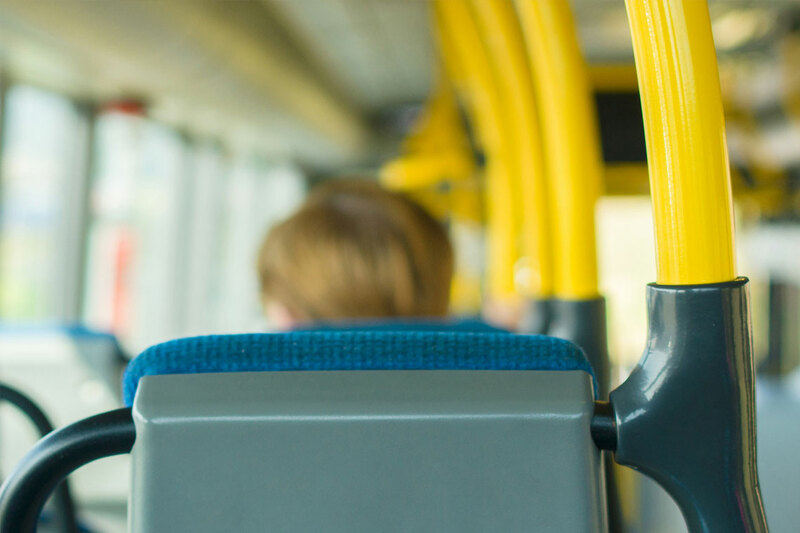 To get just the routes you are interested in (and potentially reduce the number of texts you need to send or receive to get the information you want), specify a route number in your request by adding "rt[route #]". 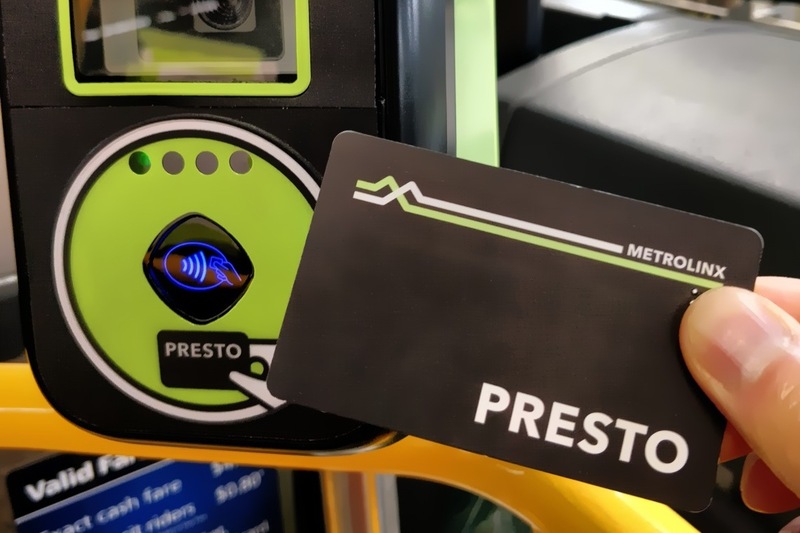 Instead of getting all results for buses predicted to arrive at stop 3233 (Uptown Core Terminal), you will only get results for Route 5 Dundas buses.